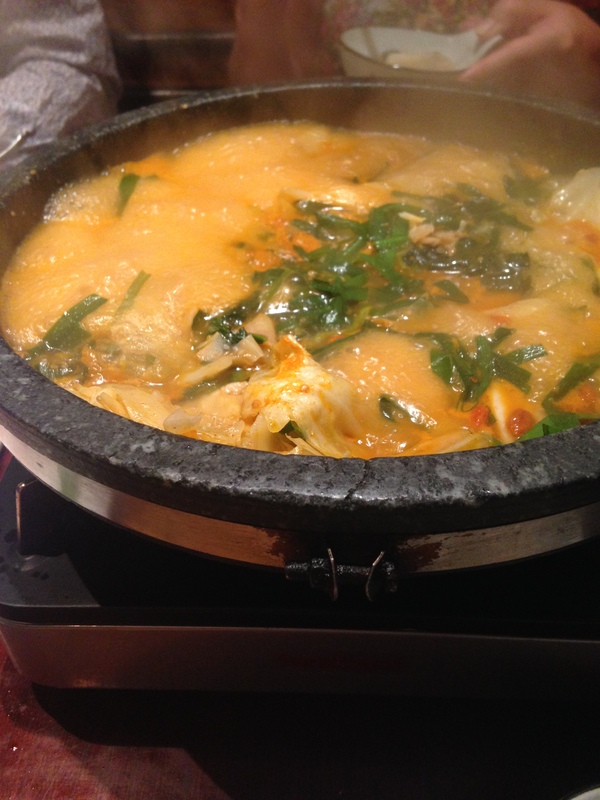 As promised, here is part two of my Japanese Hot Pot adventure. 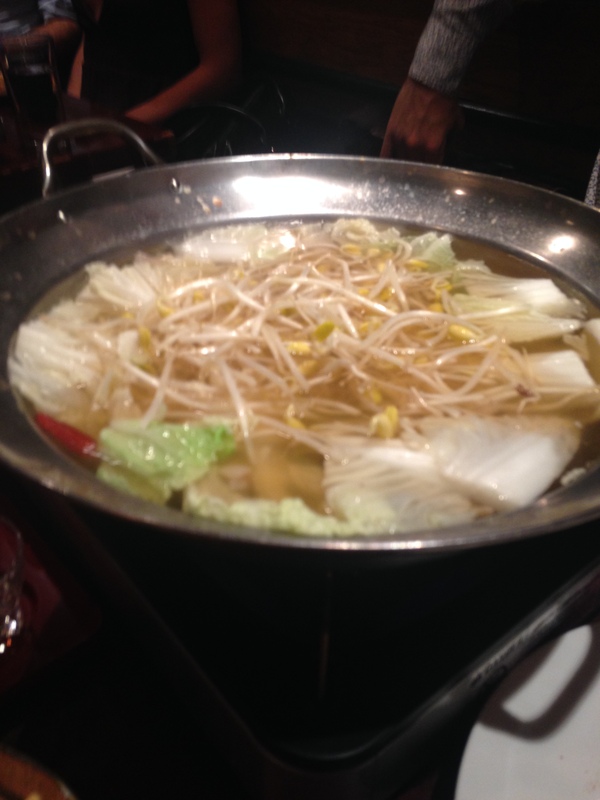 Since we were four hungry foodies, we ordered two different varieties of the hot pot to share. The first was a boiling broth with veggies. 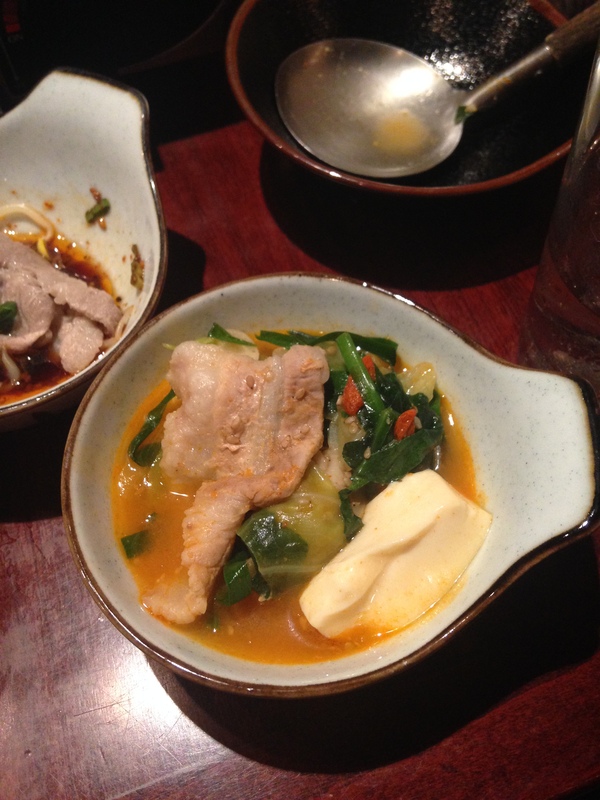 Once the broth was ready to go, you dip your own pork pieces into it. 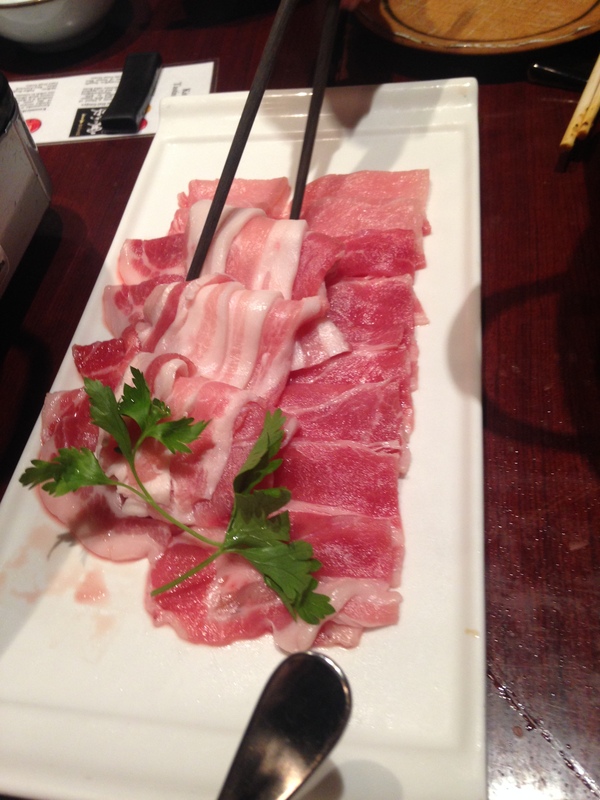 In addition to being deliciously flavored, it was so much fun to cook your own meat at the table. You could also pick which sauces to dip it in. The second hot pot that we got was one with pigs’ feet. I will admit to being a tiny bit squeamish about the actual feet, but they did make a the soup incredibly rich and flavorful. Here is the finished product! This one the waitress cooked and served for us. After dinner, we skipped their dessert and went for gelato on Eric Berelovich’s recommendation. Overall, even though it is difficult to get reservations, I would highly recommend Hakata Tonton if you are a fan of Japanese food, pork, or just looking for a great food adventure- they even have the crazy fancy Japanese toilets with tons of buttons.